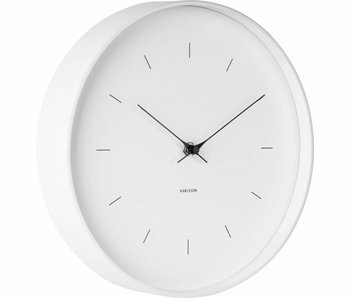 Sturdy, easy to read design wall clock from quality brand Karlsson Clocks. The combination of the wood dial with a silver edge in brushed metal provides a robust look. Again a beautiful clock by Karlsson Clocks and a classic in the making. This design wall clock was designed by Boxtel & Buijs and looks elegant and trendy. Available in two sizes (large or medium) and in various colours. 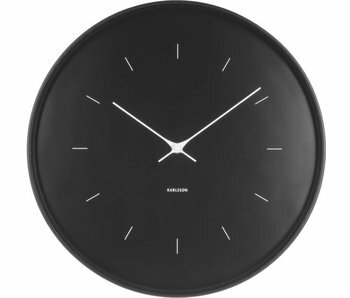 Elegant wall clock by dutch design brand Karlsson Clocks. 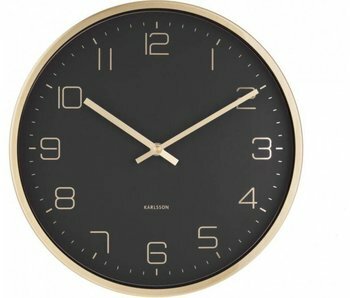 The clock has a modern design and chic look due to the shiny gold rim. A clever design by designer Amando Breeveld.